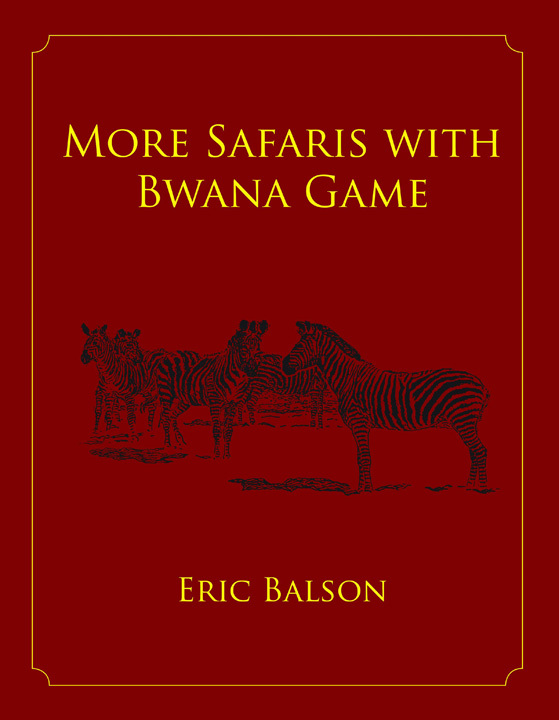 For those of you who have read Balson’s book On Safaris with Bwana Game, you will know that he tells an interesting story. Not only was he a PH to the rich and famous, as well as royalty and world leaders, but he also worked for years for game departments. During that time he was charged with shooting some very disagreeable wild animals, such as a hyena that had attacked a young village girl. In the Niassa Reserve in Mozambique Balson had to deal with a pair of man-eating lions that were so aggressive and so very hungry that they came into villages during daylight to hunt and kill humans. During his early days as a game warden, his job was to guard the world-famous Ngorongoro Crater. It was then so remote because of bad roads that the government house he was assigned on the rim of the crater took two days to reach even though the distance traveled was only fifty miles. And that was during the dry season! No wonder when his wife was expecting their child she had to move to the nearest town because no doctor would be able to reach her in a timely manner. His job was not for the faint of heart. Once he had to track four crop-marauding elephants into a swamp that rendered the elephants almost impossible to approach, and he was charged when he finally got to them. While this was all in a day’s work, being covered in mud and leeches and still shooting straight was not. All these and many other adventures with rogues of both the animal and the human kind he dealt with during the course of his many duties as a senior game warden in Tanganyika. Submit your review for "More Safaris With Bwana Game (Ltd)"